Buster went missing from the Lord Street area, Hoddesdon, approximately 3 weeks ago. 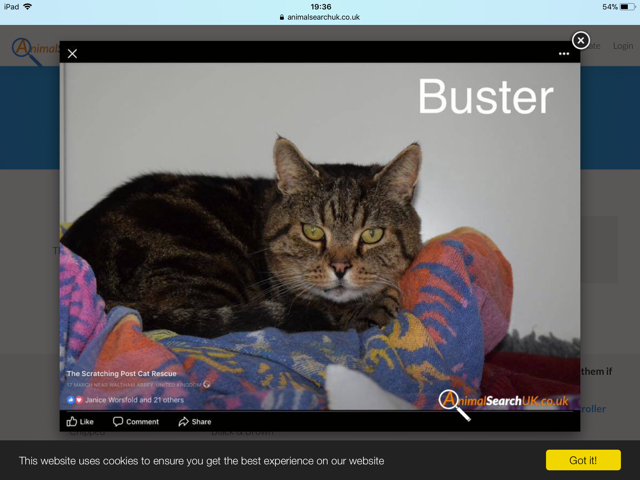 He had recently been rehomed by The Scratching Post, so any sightings of Buster should be directed to them. If you see Buster, please call The Scratching Post on 01992 626110.